When you visit YouSave Chemist Crows Nest you will find a friendly team, clean store and a range of products. Be guaranteed to receive quality service and professional advice from a qualified pharmacist, at any moment of the day. Carol is a registered nurse and midwife with 28 years of experience with a Masters in Adult Education. 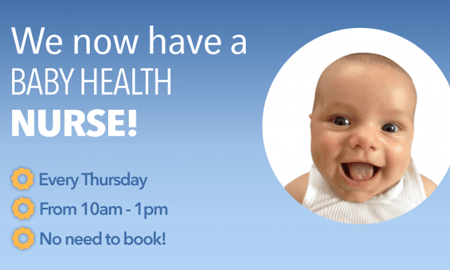 She will be available at Crows Nest YouSave Chemist from 10am till 1pm every Thursday to answer all your baby related questions. No appointments necessary! Come in, weigh in and have a chat with Carol.